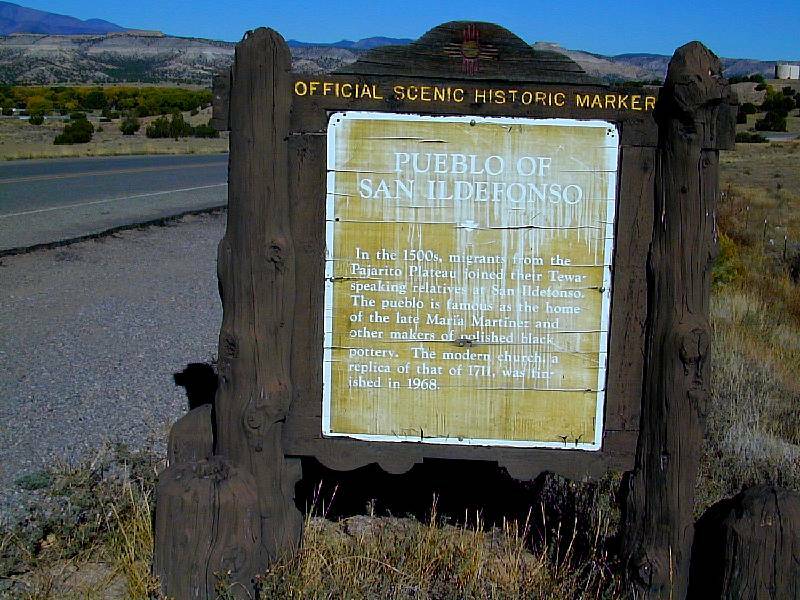 The historic marker on the access road to the San Ildefonso Pueblo just off Rte. 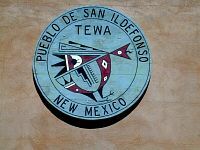 502 in North Central New Mexico. 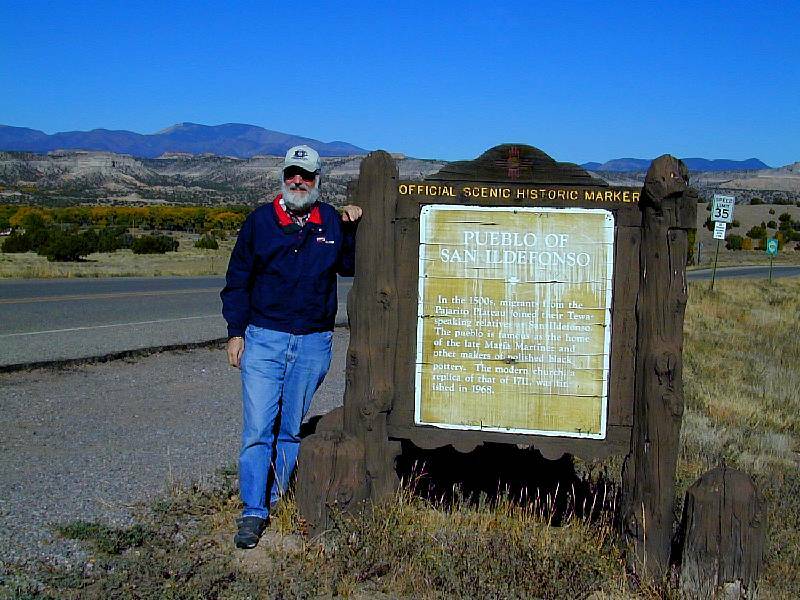 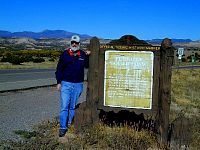 Dad beside the historic marker on the access road to the San Ildefonso Pueblo just off Rte. 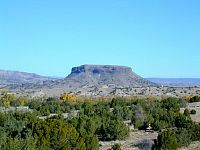 502 in North Central New Mexico. 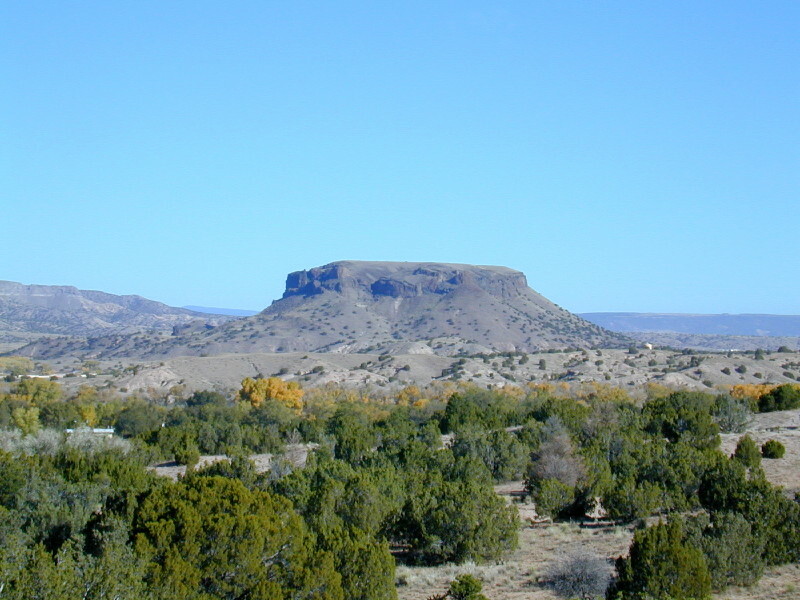 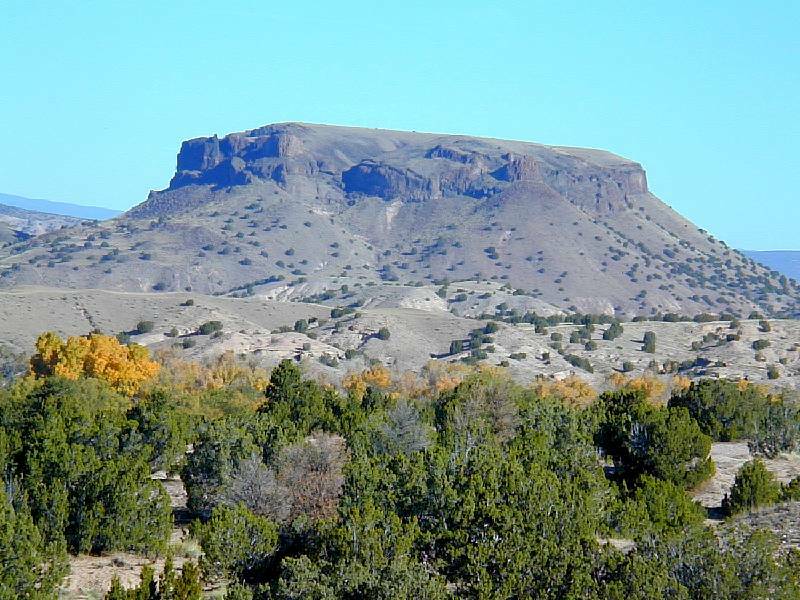 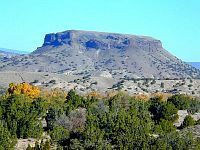 Black Mesa, a place sacred to the people of San Ildefonso Pueblo. 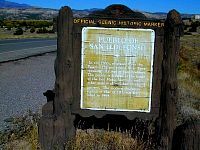 In 1694 the Pueblo people and other Indian nations defended themselves here against the Spanish conquest. 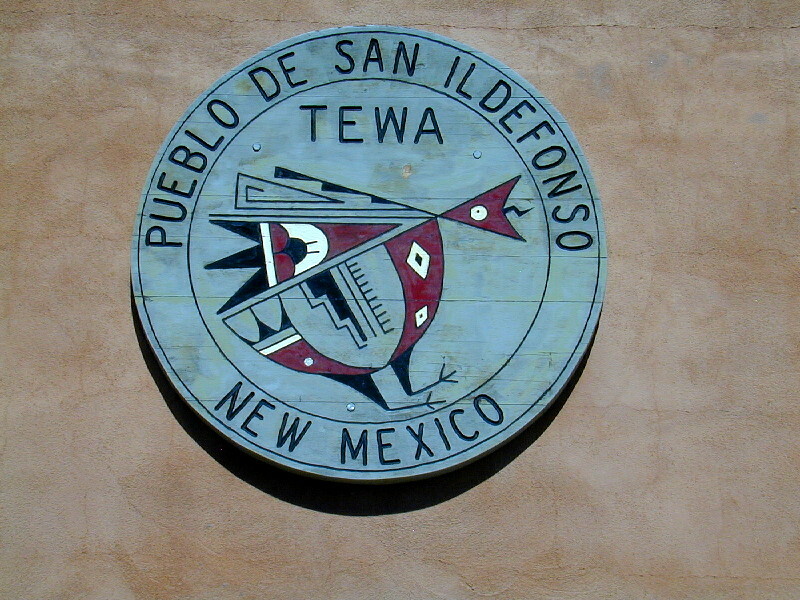 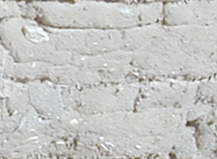 The seal of San Ildefonso Pueblo. 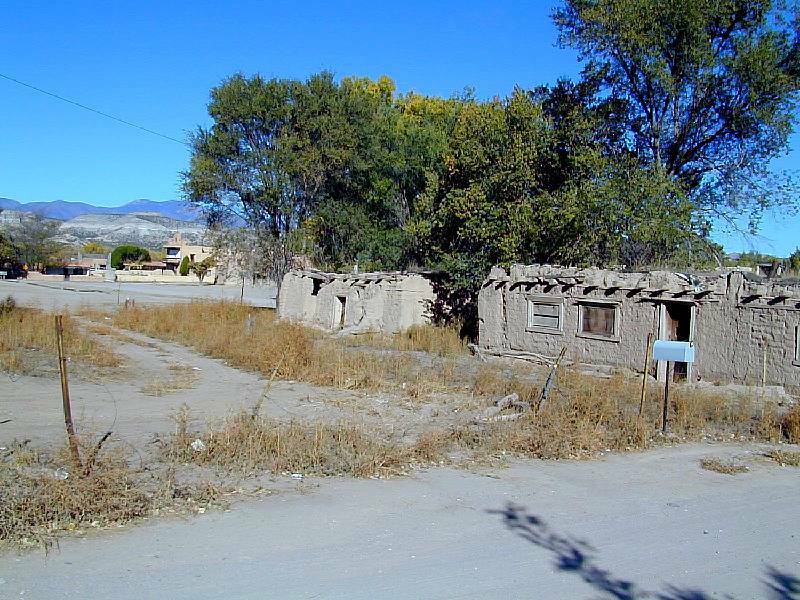 Old adobe homes, showing the adobe brick construction, in San Ildefonso Pueblo. 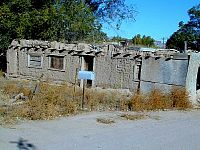 The row of posts are vigas, timber supports for the roof. 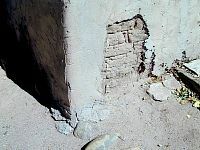 An old adobe home, showing the adobe brick construction, in San Ildefonso Pueblo. 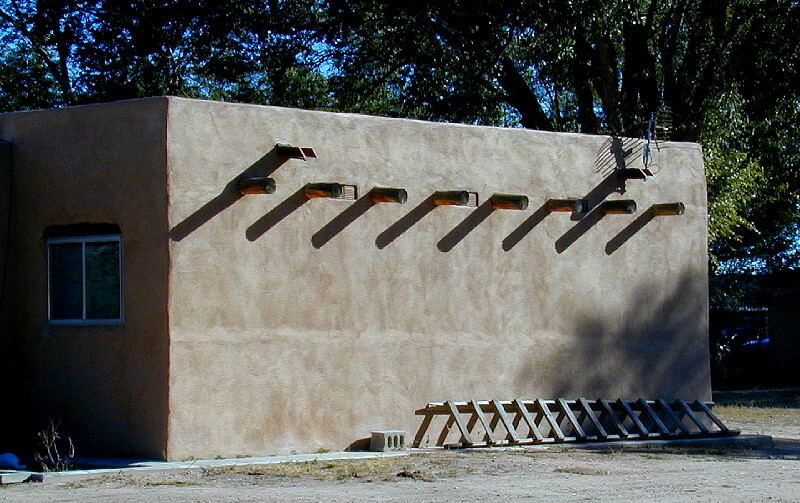 The row of posts are vigas, timber supports for the roof. 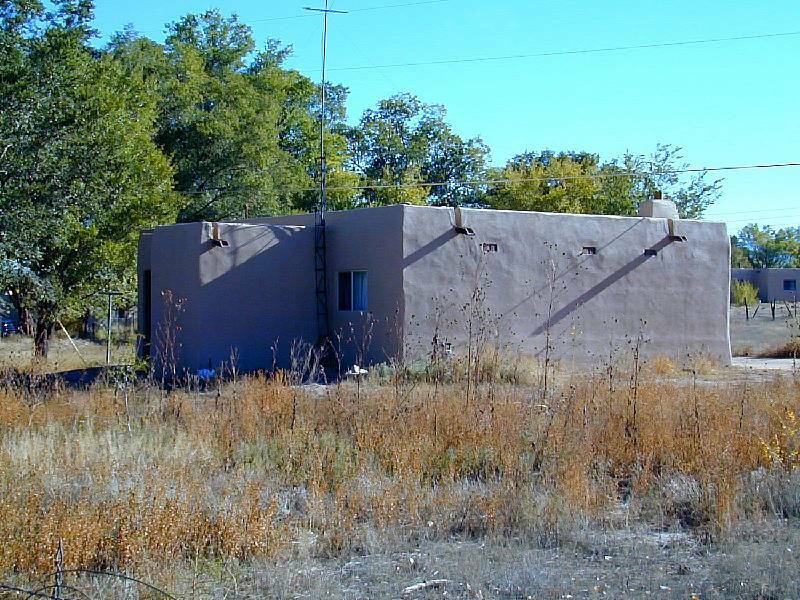 One of the older original adobe dwellings on the San Ildefonso Pueblo in North Central New Mexico. A detail of the corner of one of the older original adobe dwellings on the San Ildefonso Pueblo in North Central New Mexico. 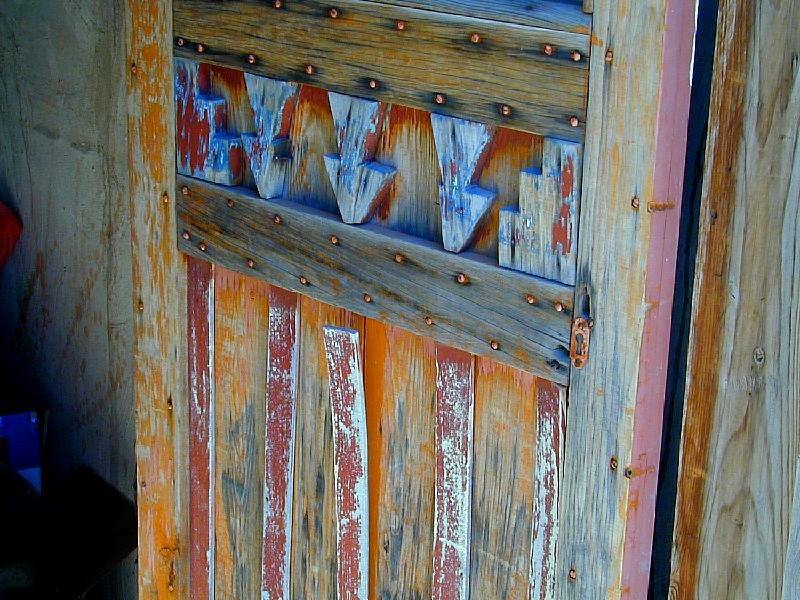 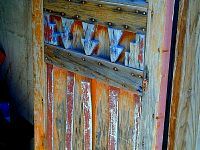 A closeup of a wooden door on one of the older original adobe dwellings on the San Ildefonso Pueblo in North Central New Mexico. 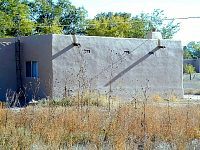 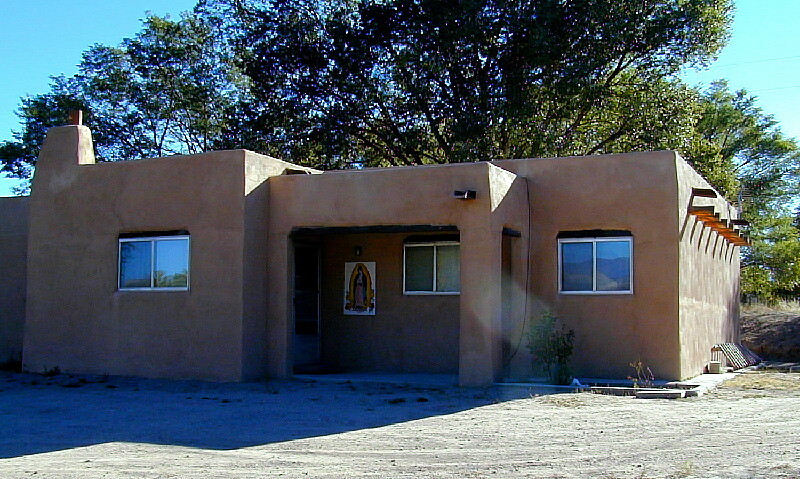 A modern adobe home in San Ildefonso Pueblo. 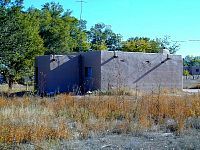 A modern adobe home in San Ildefonso Pueblo. 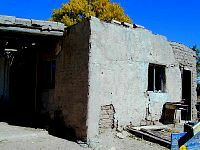 The row of posts are vigas, timber supports for the roof. 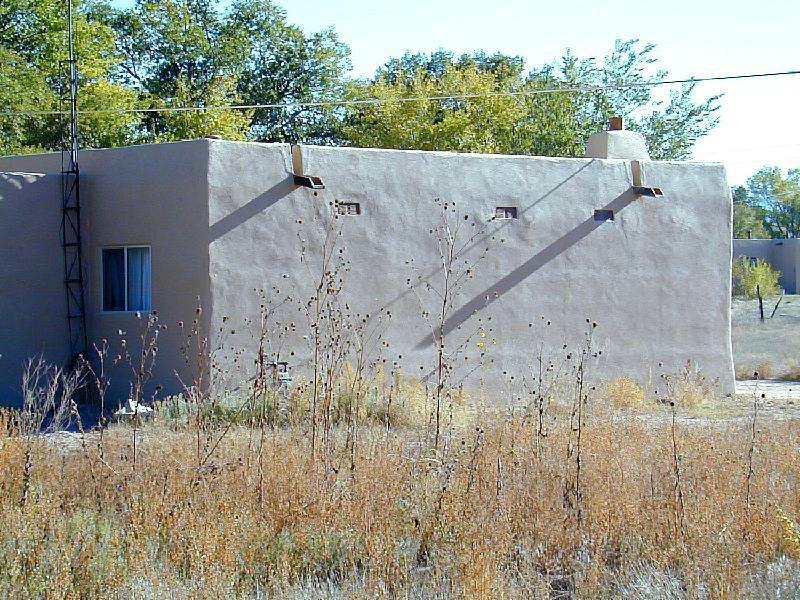 The front of a modern adobe home in San Ildefonso Pueblo. 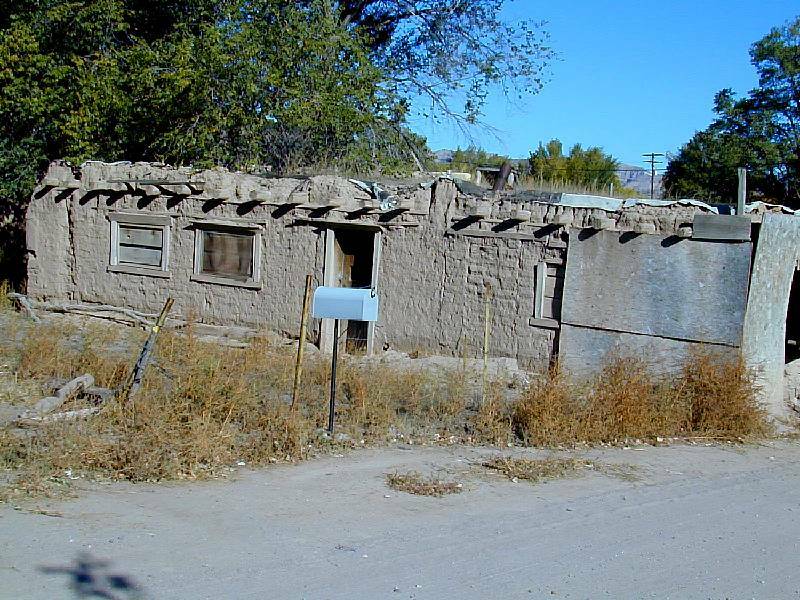 The row of posts are vigas, timber supports for the roof. 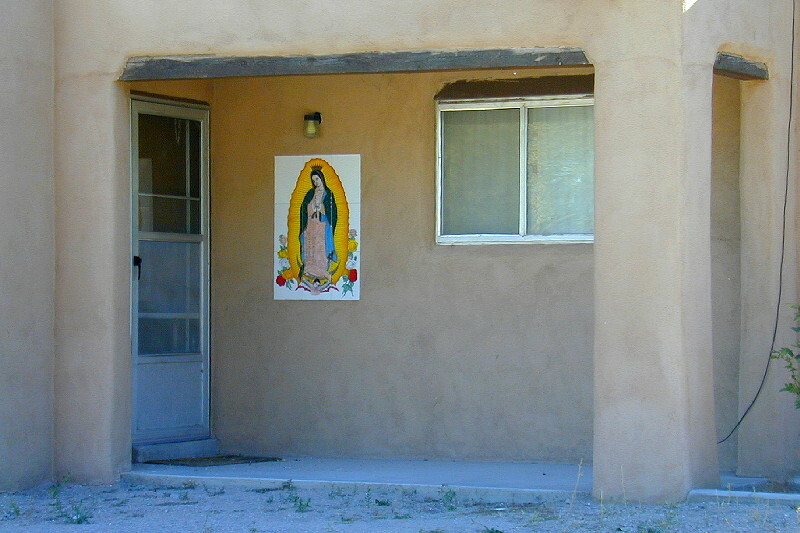 The entry way of a modern adobe home in San Ildefonso Pueblo showing a tile picture of the Madona. 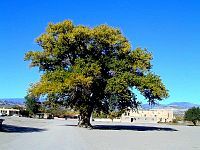 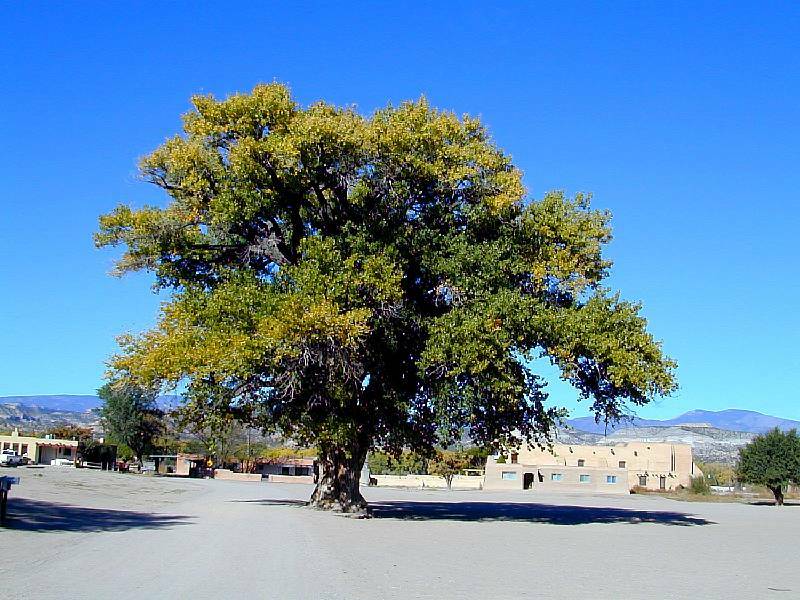 The large, ancient cottonwood tree in the center of the main plaza in San Ildefonso Pueblo.